CREATIVE CURE FOR THE COLD IS ALMOST HERE! 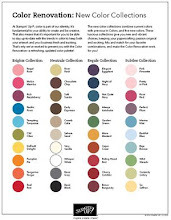 When all the fun and excitement of the holidays have passed and there seems to be nothing but cold weather and snow heading our way, it's time for a Creative Cure for the Cold Weather! On Monday, February 8th from 10:00 a.m. to noon and again from 7:00 to 9:00 p.m. the Rubber Room is the place to be. There will be new product demonstrations, make and takes and lots of chances to win door prizes. 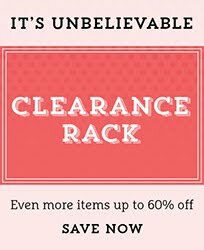 The new Occasions Catalog and the Sale-A-Bration Catalogs are packed with great products I am excited to share, and you won't want to miss the fun. THE CURE is only $5 or FREE with a minimum $15 order (must be placed on February 8). Be sure to Email me to RSVP by midnight January 31st. 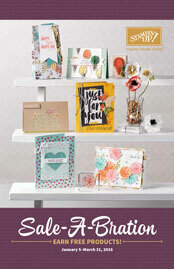 OCCASIONS CATALOG TIME IS HERE! The Occasions Catalog is now live, and I know you are going to love it. 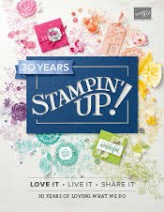 I have been playing with pre order goodies for the past few weeks and am ready to WOW you with lots and lots of creative samples using these quality Stampin' Up! products. SAB has also begun, so it is the perfect time to enjoy some new products AND some FREE products. 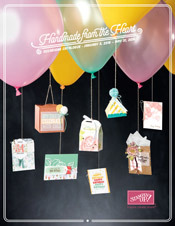 VIEW THE OCCASIONS CATALOG HERE~~BE PREPARED TO BE BLOWN AWAY! Call or text me at 248-909-8016 and I will help you place your order! Call or text me at 248-909-8016 and I can help you make the most of this wonderful opportunity for FREE SU! products!